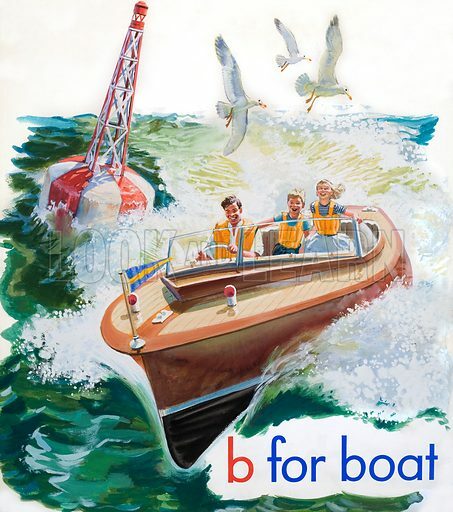 "b" for Boat. Original artwork for cover of Treasure issue no 3 (2 February 1963). Available worldwide for immediate download up to 3,762 x 4,253 pixels.